Vaillancourt Folk Art Weekend … the Results! 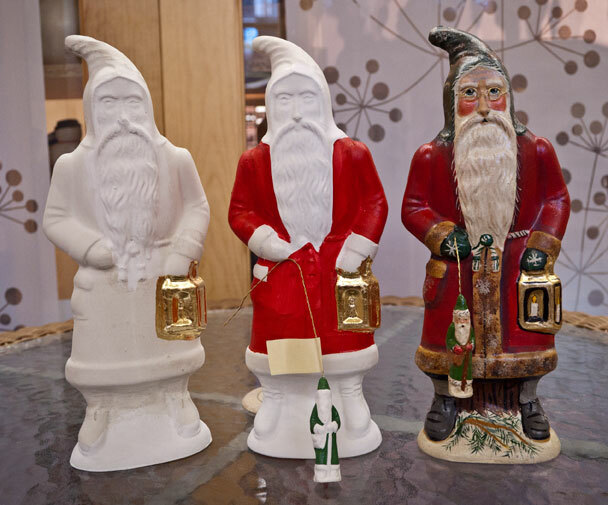 Joan, my mentor painter at Vaillancourt Folk Art, has put the finishing touches on the chalkware Santa that I created at Collector’s Weekend earlier this month. And, it’s on its way to my door. I can’t wait to see the finished figure. I’ll be featuring the Vaillancourt Studio in the Christmas issue. They are one of the few artisan workshops still making things the “old-fashioned” way in the USA! 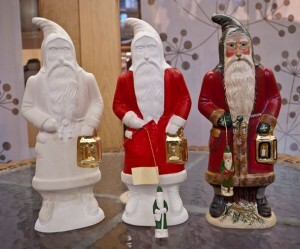 Author Connie PorcherPosted on May 13, 2011 Categories christmas, design, folk art, Vaillancourt, Vaillancourt Folk ArtTags antique, chalkware, chocolate mold, christmas, folk art, painting, Santa3 Comments on Vaillancourt Folk Art Weekend … the Results!